It's a new month and time to share some of the gorgeousness our planner gals have been posting! If you're not following My Prima Planner yet, come check out the Instagram and Facebook pages dedicated to all things planner and traveler's journal related! 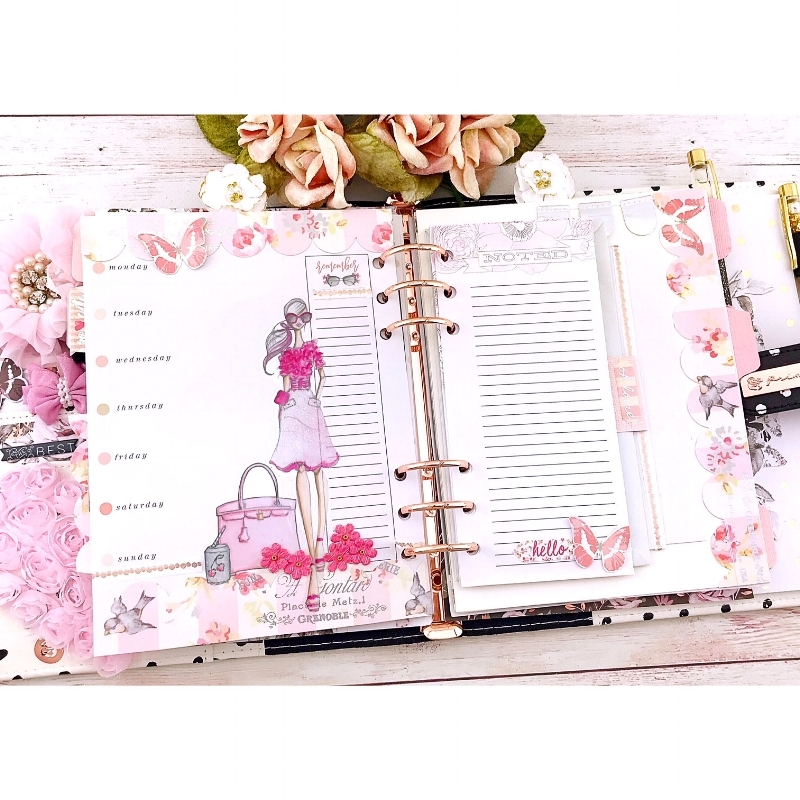 Each day there are fresh posts with tips, techniques, pretty pages, and more, like this gorgeous spread by Wendy featuring our Josephina stickers, Prima flowers, and Breathe planner! Watch Sophie (@phiespoetry) as she shows off her latest MINTY PTJ all set up with new Prima inserts, bullet journaling, new washi tapes, and touches of Lavender Collection ephemera! It's truly beautiful and ready to finish with great memories. Sometimes staring at a blank page can be truly intimidating! Sophie makes creating a weekly spread in her Prima Traveler's Journal simple and beautiful with a few tips: create a month-at-a-glance graphic at the top by filling in a grid pattern; next divide the page up with stickers, washi, ephemera, and/or stamping. You can divide by weeks for the main overview. Watch Sophie create this spread on the short video below.